Creating a warmer, more energy efficient space is easier with Isover Spacesaver. 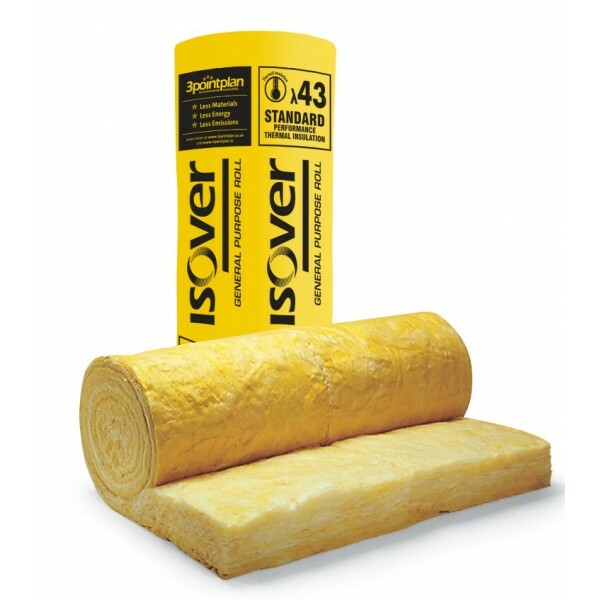 The thick, 150mm mineral wool ceiling insulation roll delivers excellent thermal performance, and is pre-perforated to 3x386mm and 2x580mm widths (common joist spacings), so installing it in ceilings and lofts is quick, simple and fuss free. For best results, apply two layers of thermal insulation roll: one laid along the joists, the second overlaid crossways. Make creating a warmer, more energy efficient space simple. Fit loft and ceiling insulation rolls from JCS.